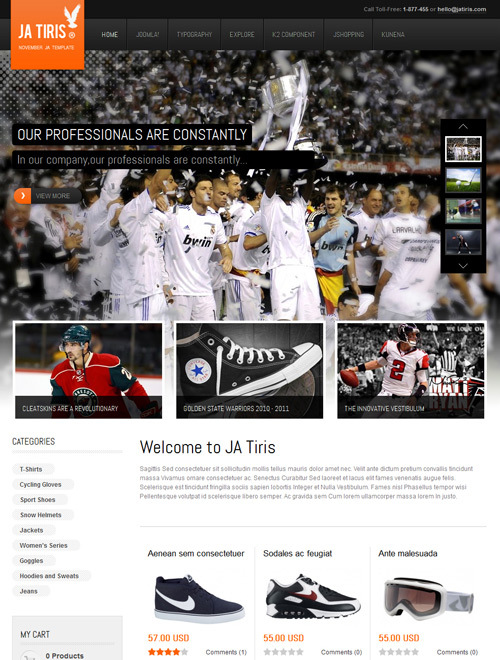 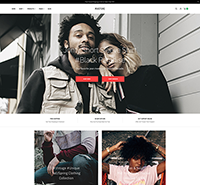 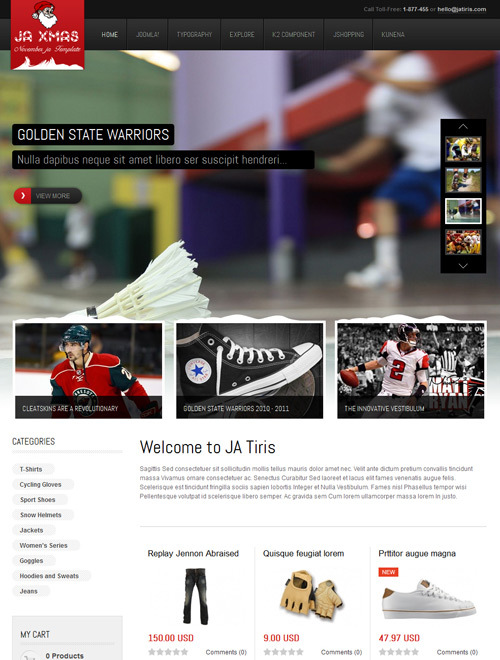 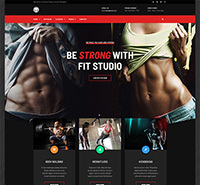 JA Tiris is a E-commerce Joomla template for online shop. 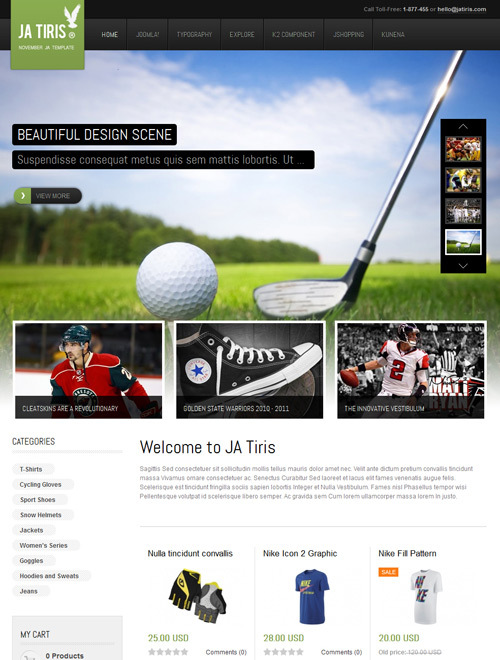 JA Tiris supports Kunena forum, JoomShopping Component. 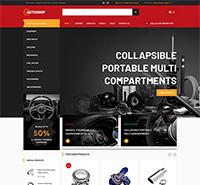 It Comes in 8 colors including Color theme for Christmas. 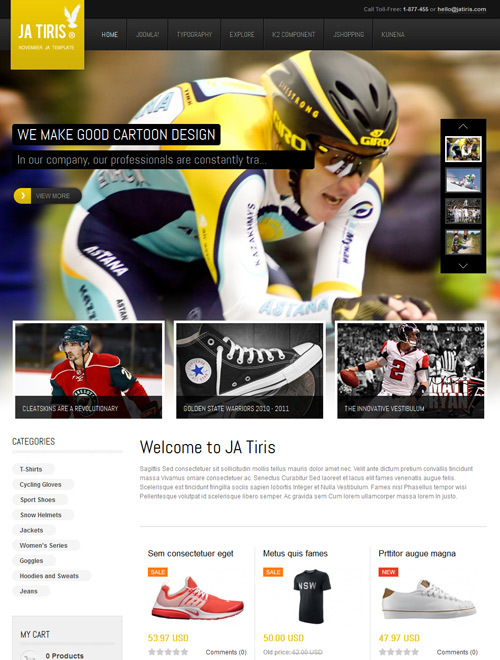 It is also the first of JA's Joomla! 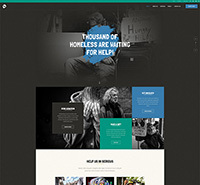 Template to support K2 for Joomla! 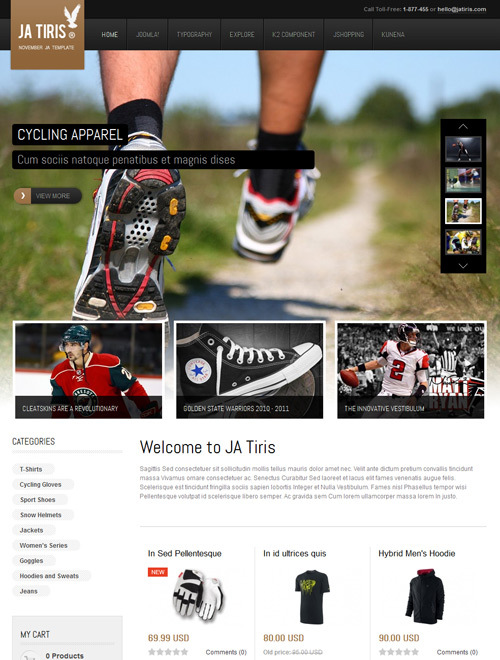 2.5 & 3.0 version. 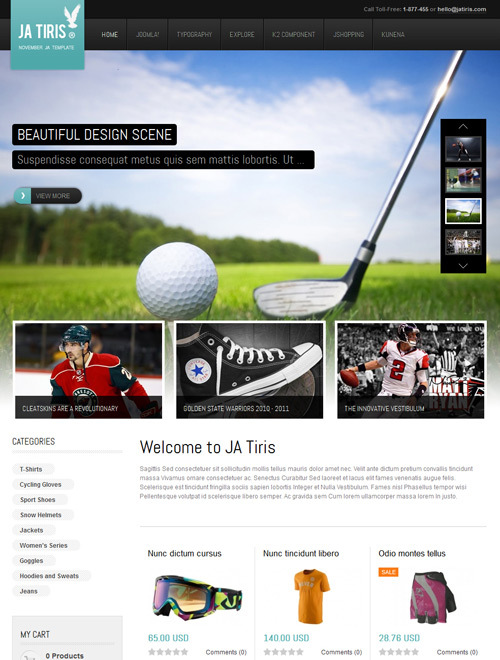 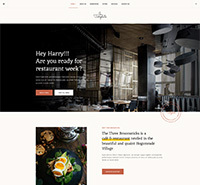 JA Tiris combines the power of Joomla CMS with the dynamic creative content control of K2 integration to provide a unique/multi-purpose blog and/or news/informational content resource. 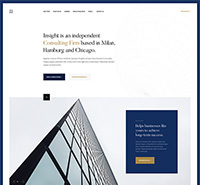 As with all of our latest templates, JA Tiris is built using our powerful open source JAT3 Framework - giving you the ultimate flexibility and speed. 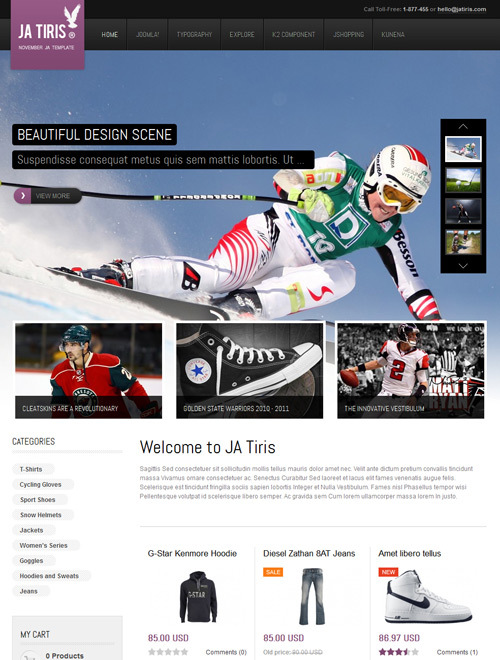 Some texts in ja_tiris and ja_tiris_blog k2 templates are not properly translated !